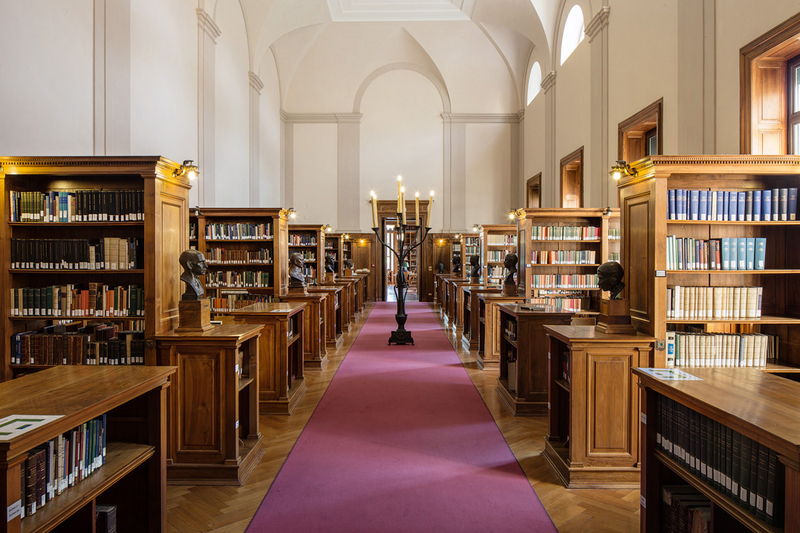 The Arthur & Janet C. Ross Library is a treasured resource for scholars working in Rome and is home to 160,000 volumes in the fields of classical studies and the history of Italian art and architecture. Help enrich and expand this collection for Fellows and the public. Founded by Alice Waters, the AAR’s Rome Sustainable Food Project is both a production and teaching kitchen. 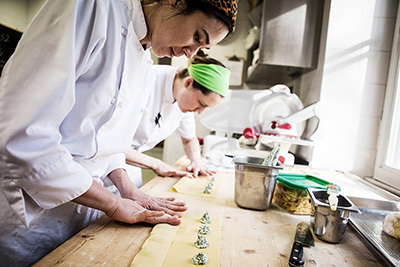 The RSFP internship teaches emerging chefs about Roman cuisine and running a sustainable kitchen. Support the education of a RSFP intern and foster the next generation of American chefs inspired by the Italian tradition. Propel the AAR on its path to environmental sustainability by supporting our green initiatives. We are working on solar panels to capture the abundant Roman sunlight, updating light fixtures with energy efficient LED bulbs, and zoned heating and hot water for more intelligent usage in our historic McKim, Mead & White building. 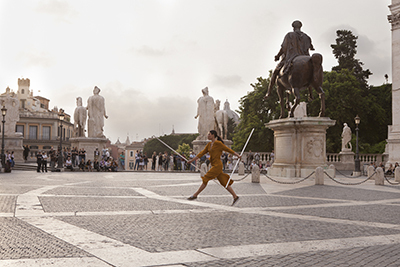 Foster the surprising, cross-disciplinary special projects that emerge as a result of our Fellows’ time in Rome. Your gift will provide opportunities for Fellows to intersect with Rome and with each other in unexpected ways. Join the Friends of the Academy and become part of the American Academy in Rome, one of the leading American overseas centers for independent research in the arts and humanities. For more than 117 years the Academy has offered time, support, and an inspiring environment to some of America's most gifted artists and scholars. Many Academy fellows and residents have had a significant influence in the worlds of art, music, culture, literature, scholarship, and education. Friends will receive news of the Academy and its fellows, programs and events. Membership dues support the Academy's on-going operations, including the annual Rome Prize competition, programs, and residential life, and the Academy's buildings and grounds. Please join us today. The support of Academy Friends is more important than ever. La Società McKim & Morgan (“McKim & Morgan Society”) trae il suo nome da Charles Follen McKim e da John Pierpoint Morgan, fondatori dell’American Academy in Rome. La loro capacità di guida e lo spirito visionario crearono l’Accademia, collocandola sulla maggiore altura di Roma entro le mura, e diedero vita al fondo iniziale dell’Accademia, curandone la permanenza e la crescita future. La Società McKim & Morgan è costituita da persone che si impegnano per il futuro dell’American Academy in Rome, inserendola tra gli eredi testamentari, e che hanno prodotto la documentazione di una donazione ad essa indirizzata. La Società riunisce quanti hanno dato disposizione scritta di un lascito o di una rendita vitalizia a favore dell’Accademia, o che l’hanno inserita tra i beneficiari di un fondo pensionistico o di un’assicurazione sulla vita. La Società dei Borsisti (“Society of Fellows”), che trae origine dall’istituzione, nel 1910, dell’Associazione degli ex allievi dell’American Academy in Rome (“Association of the Alumni of the American Academy in Rome”), riunisce tutti coloro che hanno vinto il Rome Prize. Un comitato eletto dai membri si fa portavoce del punto di vista della Società dei Borsisti su aspetti importanti che riguardano l’Accademia garantendo un collegamento efficace tra le due istituzioni. Corporate support is vital to the American Academy in Rome’s mission of advancing the arts and humanities. 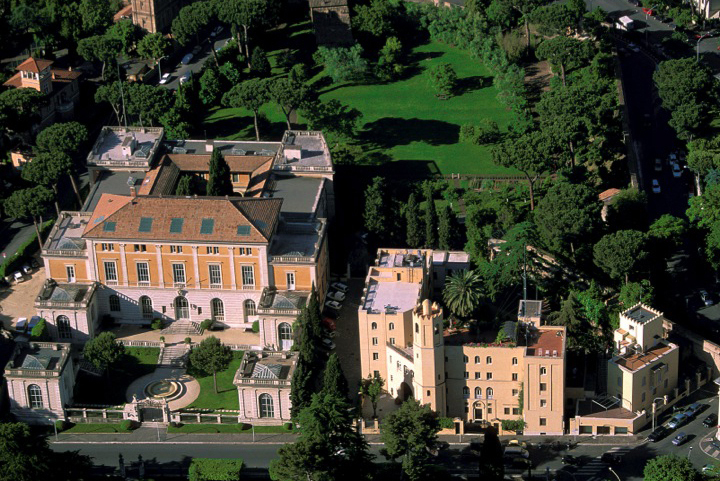 The American Academy in Rome invites the support of corporations who wish to contribute to the Academy’s Fellowships, program of events, scholarly resources, and operations.